Boosting your credit score is no easy task, yet in today’s society having a good credit score has become a mission in itself. 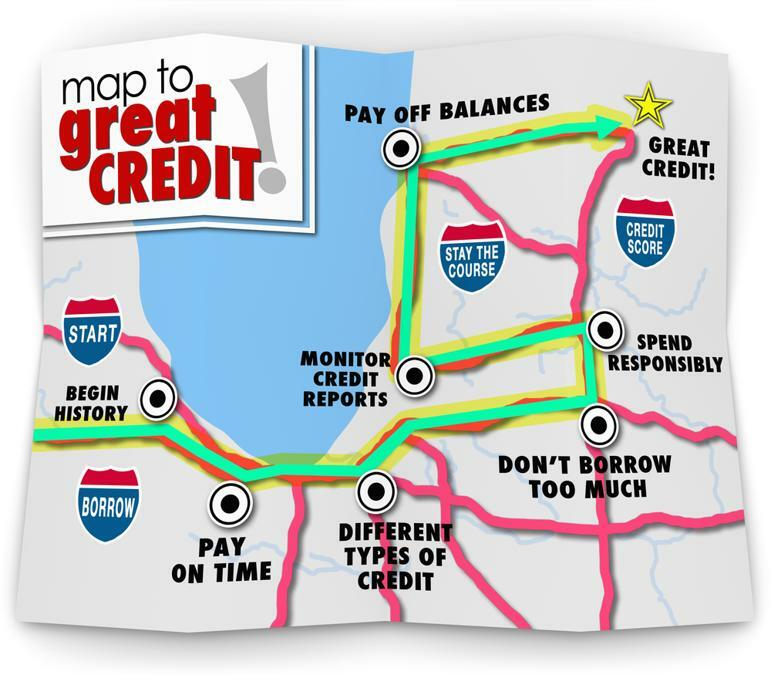 In order to have a good credit score, you need to be in debt, so what is there to know. The world of credit score ratings is rife and misconstrued with information that seems to hang onto myths and inaccuracy. So much so, people are getting it wrong the entire time and what you really need to know about your credit score rating is misdirected. Getting a good credit score rating is no longer just associated with owning a house and applying for a mortgage. Now a good credit score rating affects your mobile phone contracts, monthly car insurance and opening multiple bank accounts. First things first, there is no such thing as a universal credit rating. Forget being blacklisted, because in the world of credit scores it doesn’t exist. Each and every lender you go to will have their own system and ways of checking your credit rating, so don’t feel that a bad rating will be affected by another lender. Just to be sure, there are a number of ways to boost your credit score easily. ClearScore, created an interactive map which allows you to search the average credit score according to your postcode. The tool shows you the average of the area against the national average. 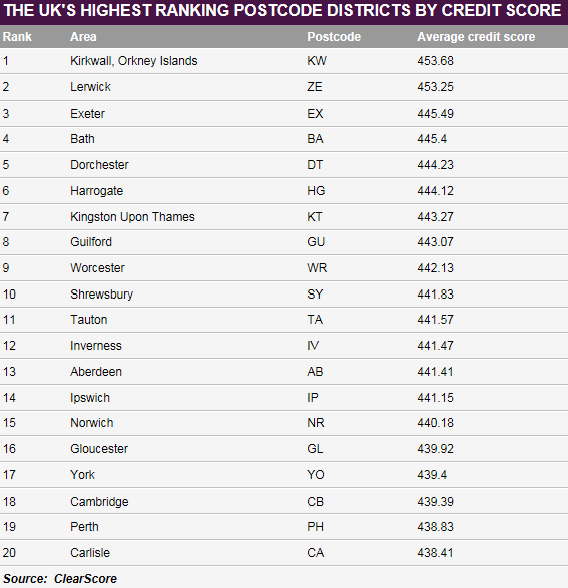 The map highlights residents of two Scottish islands have the best credit score in the UK. 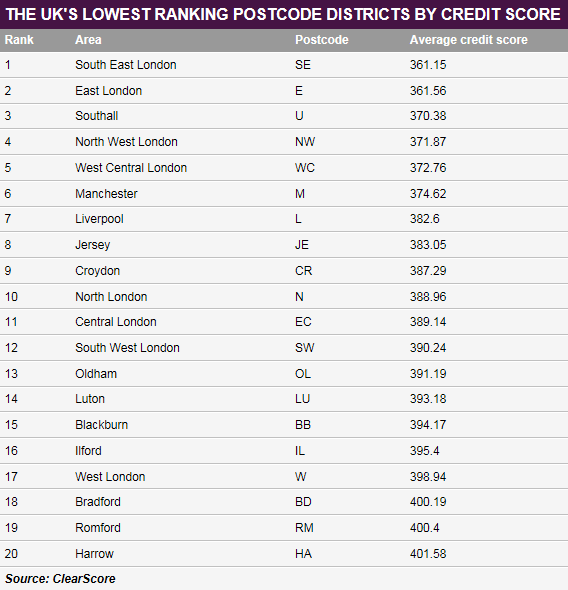 It's of no surprise that residents living in the South East and East London have an extremely poor credit score rating. So here are 7 ways to ensure your credit score rating is as good as it gets! You need a credit card. No ifs or buts. We’ve all been there thinking by not owning a credit card you are being the responsible Samaritan and guilt-free from a temptation to spend, but in reality you need a credit card to prove you can pay off your debts. Proving that you’re able to successfully pay credit back is a signatory to lenders that you can pay the balance on a regular basis. However, one thing to note is it can take up to six months before it affects your credit score, so bear it in mind if you’re applying for a loan of some kind. You may not be using an unused credit account but lenders tend to look at all your current credit limits available. Generally speaking, it is wise to keep the balance on your account below 25% of the credit limit. So despite needing a credit limit to prove you can pay it off, maxing it out won’t help you. Temptation hits and we all get dragged in by store cards and credit cards, but if you find yourself missing a payment or paying it late, this ‘black’ mark will remain on your records for six years. Be disciplined and ruthless and ensure you maintain your credit payments like clockwork, otherwise it may come back to haunt you. A joint financial commitment is pretty common when it comes down to applying for a mortgage or loan of some kind. If your partner has had a bad credit rating in the past, this may have a negative effect on your rating. If for any reason, you split up, it is always worth contacting your loan providers to inform them, to avoid any negative marks on your record. It may sound absolutely absurd, and whether or not you are politically active, your credit rating score can be affected by whether or not you are registered on the Electoral Roll. You will need to register at your current address as proof that you are residing at the address. Don’t apply for a million credit applications in one go! If you are in need of a loan of some kind and a credit rating check is needed, try not to apply for credit too many times in a short space of time. When a lender does a credit search, it leaves a footprint on your file and it can be perceived that you are experiencing financial stress and in need of help; which in turn will lead you to look like a bigger risk. Other than the top 7 things you can do to help your own credit score rating, here are some other factors to bear in mind when applying for credit. Ironic, we know, but applying for credit is not easy when you do not have a credit history. As recommended, get a credit card and once you apply for a product of some kind, a credit check will be carried out. A credit score check is there to assess and predict your future credit score rating. 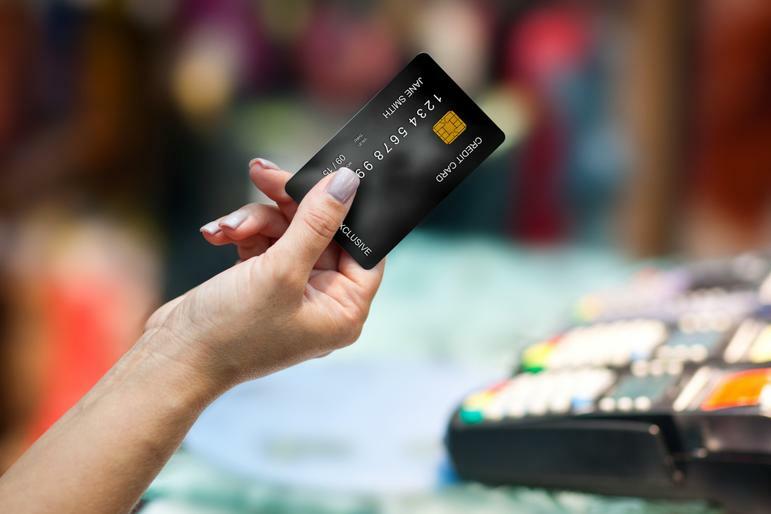 Being diligent when it comes down to repaying your credit card debt is one of the most hated traits for credit card companies – the most profitable customers are those in debt! Ensure you never default on a payment but meet the minimum, and you will remain in credit. Some credit card companies will reject you on the grounds you are repaying your cards in full (crazy we know!). You’re ready to apply for credit, so what do lenders really want to know about you? This is your time to shine. The application form is where the lender will obtain all the crucial details needed, for example your post code, reason for loan, homeowner, salary and family size. Be sure to read every question carefully and proof read your answer, as one little mistake such as missing a ‘0’ or adding an extra ‘0’ to your salary may be detrimental. Make sure you are consistent and you do not lie as it’s pretty easy to find out if you have not been honest. If you have a limited credit score history, your bank may be more likely to lend to you than other companies. Credit companies tend to use data from previous dealings and history to ascertain your current credit score rating. However, if you have had issues in the past, you may find it difficult altogether to gain credit. 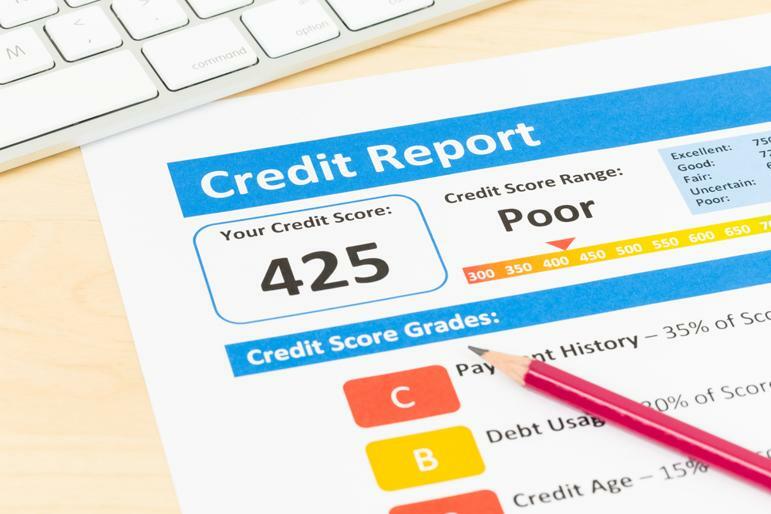 If you have applied for credit elsewhere, this record is tracked by lenders and most importantly, gas and electricity companies have gruesome credit score checks, so if you are applying for credit, don’t be surprised if your history is no secret. Your bank, building society and utility company use credit reference agencies as a way of sharing details on your most recent account behaviour. From your credit/store cards, bank accounts, mortgage, loans, energy and phone bills, data from the last six years is taken into account. The most common is ‘default data’ – you’re officially in default. Some lenders will share ‘full data’, which shares a little more as to how you look after your account. Companies such as Capital One, GE Money, MBNA and Barclaycard also share the amount you repay. If you have committed fraud or unfortunately someone has stolen your identity and committed fraud, your file will be held under the CIFAS section (fraud prevention service). Likewise, if you have ever had a County court judgement, decrees, IVA’s, bankruptcies or any other debt orders, your file will be flagged up. Believe it or not, applying for an energy bill or phone contract now requires a credit score check. If you are looking to switch energy provider, your data is likely to have left a footprint as providers share credit report data, so any new provider will get hold of it. There you have it, with or without a credit card, your future prospects are made difficult when it comes down to applying for credit. The good news is, for whatever reason you were worrying about your parking fines or never-ending student loan affecting your credit score, you no longer need to lose sleep over it. Let's face it, no matter how large or small your loan is, lenders will make it very clear that you are in debt and must not default for any reason. Without a credit history, you will find it difficult to apply for credit, so if you are just starting out in the world of credit score ratings, this comprehensive guide will become your best friend and lend you a helping hand when it comes down to the application form. Remember, credit companies love debt, so if you are seeking out to buy a house or a new car in the imminent future, a credit card may be your only way of securing it.